File photo of a Target store in Monmouth Junction, New Jersey. Target is "deeply troubled" by the Trump administration's escalating trade war, saying it threatens to undermine the U.S. economy, penalizes American families and raises prices on everything from backpacks to playpens. Target is among the hundreds of retailers and other companies pushing back against President Donald Trump's new 10 percent tariffs on $200 billion in Chinese goods. The U.S. trade representative, Robert Lighthizer, has received almost 6,200 comment letters on the proposed trade penalties so far. 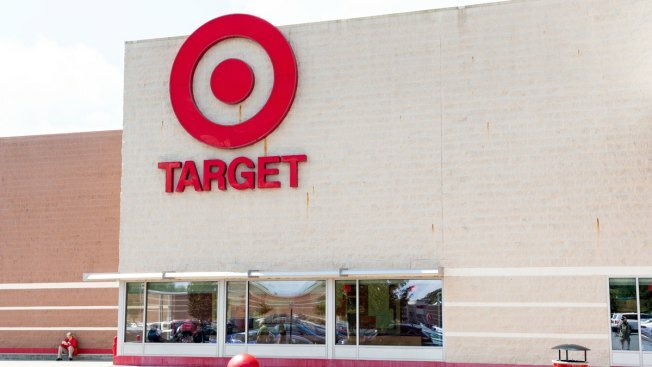 "We are disappointed that despite broadly expressed concerns from companies and groups across a variety of industries, the administration has continued to escalate the threat of tariffs that would penalize American families," Target's chief merchandising officer, Mark Tritton, said in the company's Sept. 6 letter. Walmart, Sears, Petland, Dollar General and a coalition of roughly 300 retailers — including IKEA North American Services, Kohl's, L.L. Bean, the Gap, Macy's and Under Armour — sent letters strongly opposing the tariffs. The administration levied trade penalties of 10 percent to 25 percent on a variety of consumer products in this latest round that take effect Monday. The tariffs apply to clothing, shoes, home goods, children's products, furniture and other imports from China. Tritton said the import taxes would raise the prices on basic family necessities such as cribs and infant car seats — and even raise the costs of sending a child to college because of the higher duties on desks, bookshelves and other dorm room needs. Dollar Tree CEO Gary Philbin argued for dozens of exemptions from the tariffs, saying they would seriously harm the discount retailer's customers, "many of whom are low-income and rely on our stores for their daily necessities." The taxes would also have a "significant negative impact" on the company itself, impacting thousands of products, costing "tens of millions of dollars" in revenue, stifling growth and threatening jobs, he said in a Sept. 6 letter. "The merchandise we import from China is the product of low-cost, labor-intensive manufacturing processes — the exact opposite of the kinds of 'industrially significant technology' that the investigation is targeting," he said. Sears executive Dean Schwartz also argued against the merits of the tariffs. He said they would have significant impact on the retailer, which is already struggling. "A 'remedy' for China's unfair acts which harms U.S. retailers, consumers and an iconic U.S. brand such as Sears is not much of a remedy at all," Schwartz wrote in his Sept. 5 letter. Walmart, the largest retailer in the United States, also opposed the tariffs, saying it is "very concerned about the impacts these tariffs would have on our business, our customers, our suppliers and the U.S. economy as a whole." The group letter signed by roughly 300 retailers said they cannot shift their suppliers and production out of China "without massive disruption and cost increases due to materials availability, quality, compliance, and capacity in other countries." "Millions of U.S. jobs in our industry's global value chains — including those in research and design, supply chain, manufacturing, compliance, logistics, and retail — would be put at risk if a new 10 percent or 25 percent tax were imposed, due to fewer sales, less investment, and cost increases throughout U.S. supply chains," the group wrote.